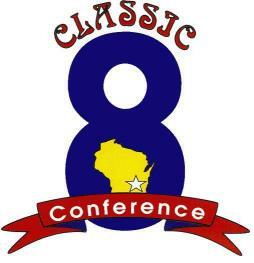 The schools of the Classic 8 Conference hope that you find this website to be a very useful tool for you to keep informed with what's happening conference-wide or at the school that you are interested in. Click on any of the schools listed in right to link to the school's Web site. The Calendars on their Web sites will show all schedules and events scheduled for that school.